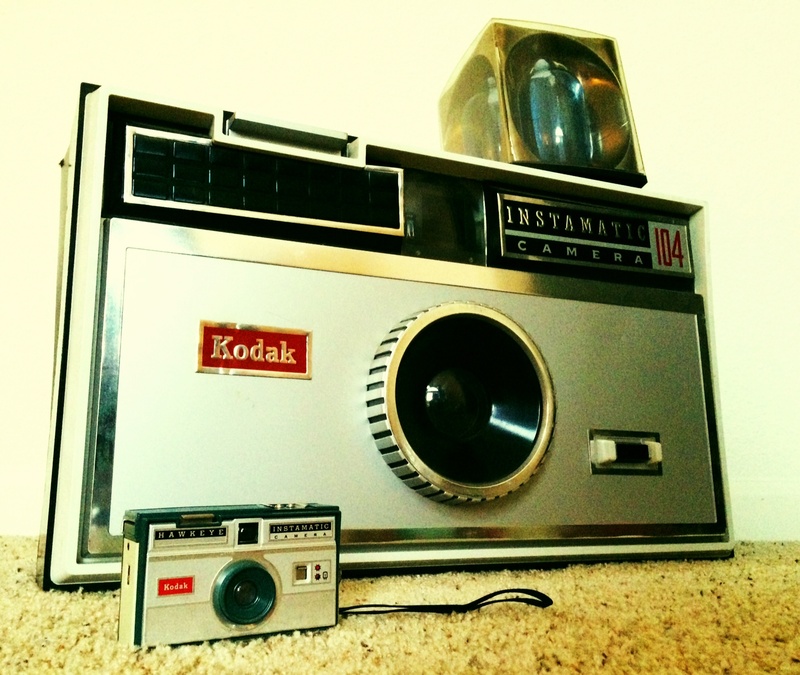 We just love the vintage cameras from the 40s-60s and my husband especially likes the brands Kodak and Polaroid. This little post is an ode to why you must check your favorite antique malls regularly as you really never know what you will find!! On a recent week day stop to just ‘clear my head’ for a bit….. I ended up at the Antique Society multi-dealer mall. Nothing seemed abnormal and I wasn’t immediately noticing any ‘new’ goodies but then turning the corner I see a new booth….. and a ‘big’ thing sitting on the table next to some vintage telephones….. I walked past at first and then came back….. on the tag I read ‘Vintage Kodak Camera Store Display’ and I looked at the front again…yes, this did look like my husband’s vintage Kodak Instamatic cameras. I was very careful to carry the large item to the front counter. I was so pleased, I would be able to surprise my husband with a treasure from the antique mall!!! 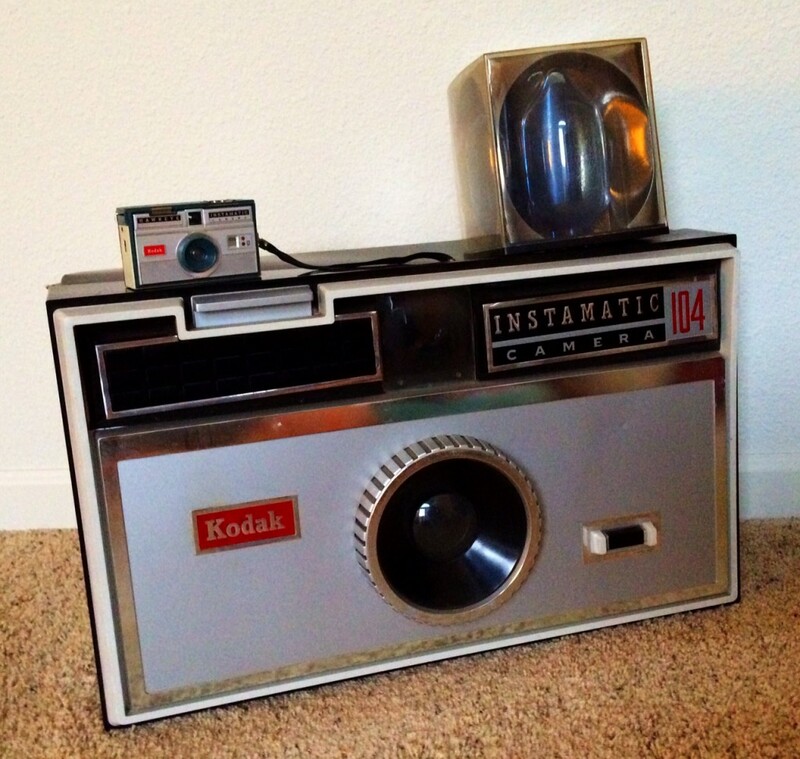 Looking for vintage, tested, working, cleaned and the coolest Polaroids and Kodak cameras? You must visit Upcycled Classics on Etsy.